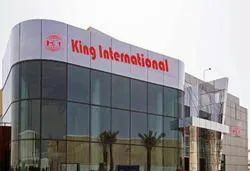 Incorporated in the year 2009, we, 'King International', is Manufacturing, Exporting and Supplying fine quality Stainless Steel Utensils, offering a wide spectrum of products like Stainless Steel Tiffins, Pet Bowls and Kitchenware Bowls. 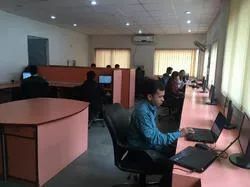 With our in-house production facilities, a team of well qualified designers, skilled workers, professionals, use of high-mechanized machines and advanced techniques, we are specializing in products with lasting appeal and function. We ensure the durability of our products, we offer. Being a client-centric organization, we assure an optimum range of stainless steel utensils manufacturing for our clients. Through our uncompromising quality standards and consistent efforts, today King international is a reputable name in the market in the production and exports of different kind of stainless steel products. We are able to offer our clients an innovative range of products that are redefining stainless steel quality standards in the industry. Our commitment towards superior quality and customer satisfaction has helped us in making a mark in the overseas market . Under the able ample support and guidance of our CEO, "Mr Suresh Gandhi / Mr. Nikhil Gandhi" is the biggest source of inspiration for our firm. His regular motivation and constant guidance has inspired us to development of new designs. 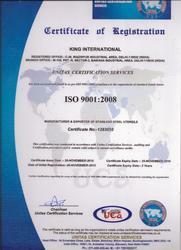 We have attained a huge clientele from UK, US and all across the globe due to our quality products. We are backed by a team of hardworking and devoted professionals, who have immense industry experience in their respective domain. Our team members work in close-coordination with each other in order to meet variegated demands of the clients. Our quality controllers inspect our entire product range on different parameters to ensure a high quality and flawless range to our valuable clients. For keeping them updated with the latest developments of the industry, we conduct regular seminars and training sessions. We always take each and every possible step to maintain supreme quality of our offered product range. For providing our clients a high quality product range, these products are fabricated using excellent quality raw material and advanced technology to ensure their excellent finish and durability. Our quality controllers test the entire range on numerous parameters to deliver a defect-free product to our valuable clients. Also, our products are tested on the various parameters like durability, stain resistance, strength, etc. Our organization is blessed with the vast infrastructure that is equipped with advanced machines, tools and equipment in order to manufacture supreme quality products. Sprawling across large area of network, our wide infrastructure is segregated into different sub-departments such as manufacturing, quality testing, sales & marketing, etc. We have built a quality testing lab in our infrastructural unit that is equipped with all the required machines and tools to test the quality of the products to ensure their flawlessness. 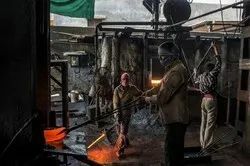 We are backed by a team of skilled and well-developed infrastructural division that enables us to manufacture, export and supply high quality range to our valuable clients. Clients can avail the offered products from us at market leading prices. We also supply the raw material like stainless steel sheet, stainless steel circle, coil of various thickness and grades to the factories who want to make their own products and final goods. We are certified member of engineering export promotion council of India.